I woke up Tuesday morning to an email from AWS reporting a malicious activity on one of our instances. The report found an activity resembling “scanning remote hosts on the Internet…”. This confirmed our suspicion that something might be wrong with the CI instance. 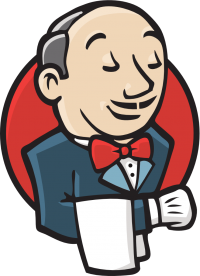 The instance contained our Jenkins (V2.32) server and some of our internal tools. It’s been a while since Red Hat released version 3.3 of OpenShift Container Platform, this version is full of features. In order for businesses to stay agile, developers must be able to deploy apps — quickly, efficiently, and in a streamlined manner. 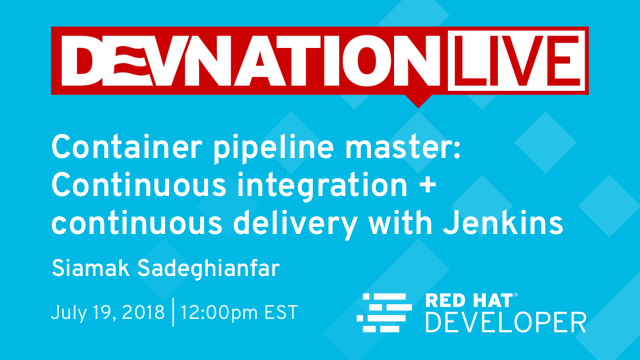 Red Hat Open Innovation Labs uses a container-driven application development framework to perform continuous delivery and accelerate innovation. Because Microservices Architectures are “independently replaceable and upgradeable”, they are the best scenario to show a “Deployment Pipeline”. Red Hat Developers has produced a sample and free application called “Red Hat Helloworlds MSA” that demonstrates different aspects of microservices (You can read more about this application in the following post: Have your own Microservices playground). This application shows how you can independently deploy the microservices using different technologies (JAX-RS and WildFly Swarm, Spring-boot, Vert.X, NodeJS, etc) and how you can use different invocation patterns to integrate them. It also uses Netflix OSS, integrated via Kubeflix, and ZipKin for tracing. The last 4-5 years have seen the debut of many new software products specifically targeting both infrastructure services and IT automation. The consumerization of IT has caused its architects to take a fresh look at their existing, often times monolithic apps and IT infrastructure and asking: Can we do better? How do I keep IT relevant? How do I keep track of all these VMs and data? How do I scale out my IT environment without a huge budget increase or physical buildout? How do I develop and get bits to production faster and with higher quality? These organizations are looking to evolve their development and deployment processes to be more agile and accelerate time-to-market. They are trying to embrace things like DevOps and Continuous Deployment to do that. 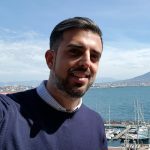 They are breaking monolithic apps out into microservices that can be independently updated, with a focus on speed and agility, so their apps can be more reactive to changes in their business. They are evolving from traditional virtualization to public and private cloud deployments. There are strong parallels between the way open source communities produce great software and how IT orgs build and deliver great software and services. Red Hat, a recognized pioneer in open source, is using its deep experience in open source to build products that support microservice-oriented, DevOps-embracing, container and cloud-centric IT shops.